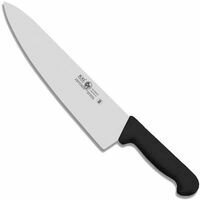 The triangle Chef’s Knife with its curved blade is perfect for all cutting tasks as well as for finely mincing garlic, nuts or herbs. The blade of stainless special steel is carefully hardened to HRC 58. 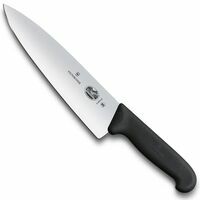 It is hand sharpened according to Solingen craftsman’s tradition for unequalled sharpness and durability. 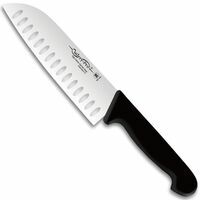 The blade is suitable for re-sharpening if required. 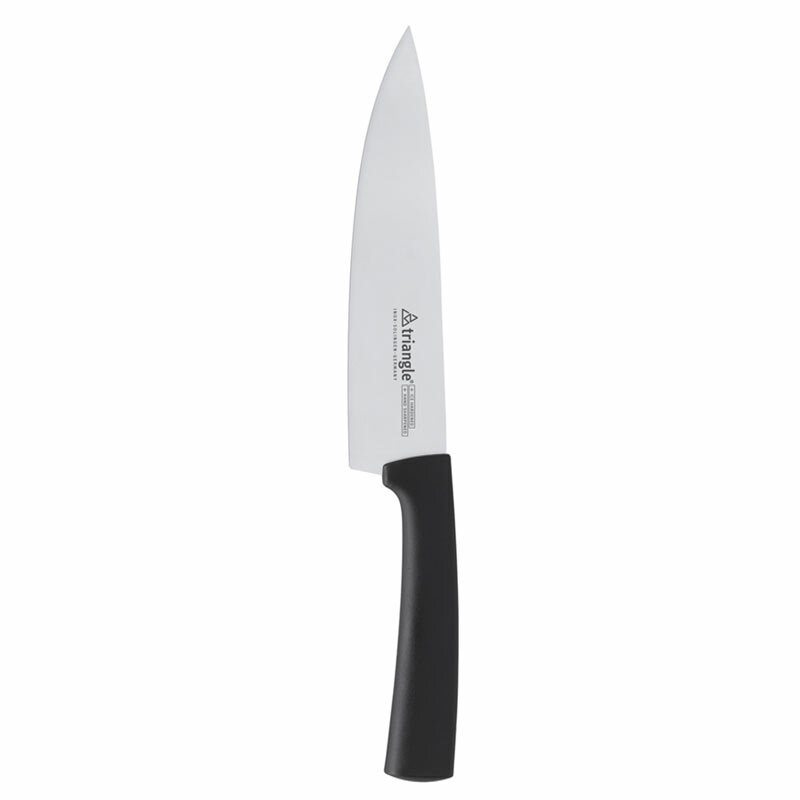 Food safe and hygienic due to its seamlessly fitted plastic handle. Handle and blade are perfectly balanced. Dishwasher safe, hand cleaning recommended.